This arrived in the mail today..
Bought a few items off e-Bay the other day. 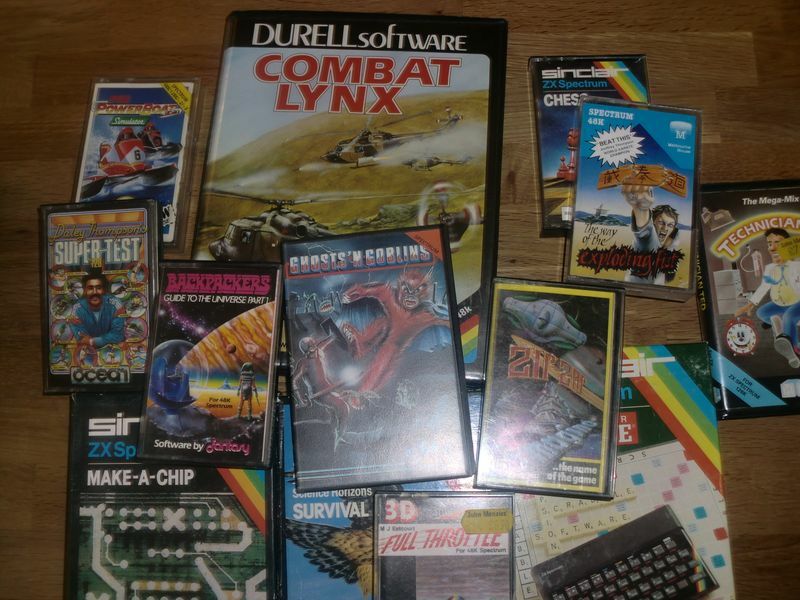 You might think I bought stuff related to the Commodore 64/128 or the Amiga, but you are wrong.. 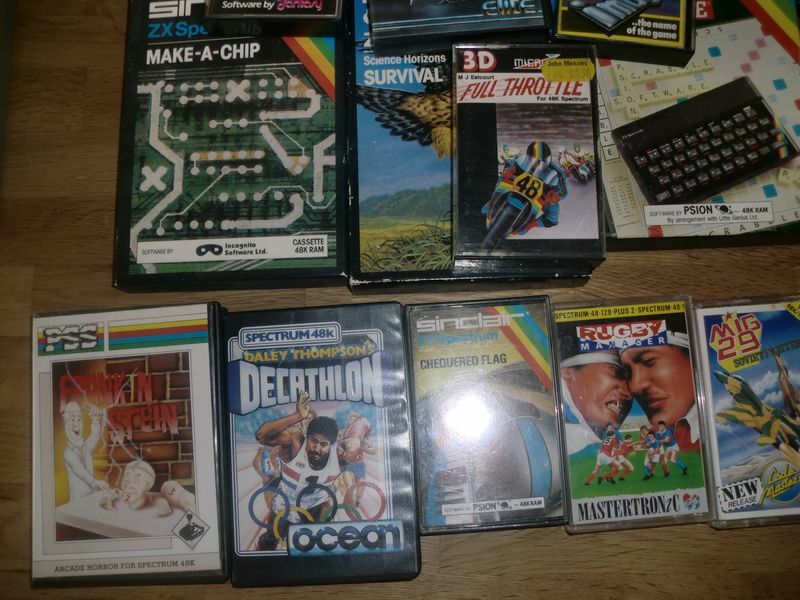 I actually bought a nice bundle of Spectrum titles! 😀 I’ve got a sweet little ZX Spectrum as well, but unfortunately no tape or disk drive for it yet, but that will come. 😉 Here are two pictures of the lot! Thanks mate. 🙂 And you are absolutely right.. may joystick is trying to look invisible due to the upcoming onslaught! These kinds of games really wears out sticks like there is no tomorrow. Just bought a Spectrum+ myself too. not tried it yet though, since it lacks a psu. Seems like an awesome haul. I have to admit I have never heard of the ZX Spectrum. It was more popular in Europe I think. Not as common in the US. 🙂 Very happy with the haul! Sure is! 🙂 I’ve got some others as well.. will be fun to try them out. Also tempted to test out a few demos on the real thing. It is amazing what people can cram out of those Spectrums! It doesn’t get (almost) more old-school than this. 🙂 I don’t know about you, but I love the box-art on these old games. Thanks for the info. That was helpful! 🙂 I’ll be sure to FF/REW the tapes and rewind after use. That will probably give them a few more years. How long is the expected lifetime of a cassette btw? Lifespan, I guess that largely depends on many factors such as storage, environment conditions, amount of usage, loss of magnetism, deterioration/physical change (stretch/shrinkage) of the medium – blah blah – supposedly 10 years but I’ve been happily using my Spectrum cassettes for the last 30 years no problems. Thanks god for the World of Spectrum repository though. I’ve been testing the Fuse Sinclair Spectrum Emulator on the Raspberry PI – Brilliant!